The arc stage roof consists of three apex, down outward curved structures, which form the curved roof. 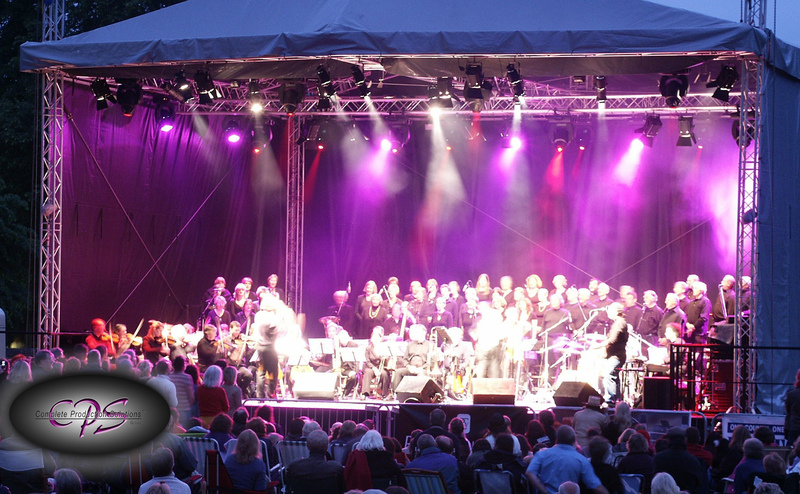 The roof may be covered and the stage enclosed on three sides. 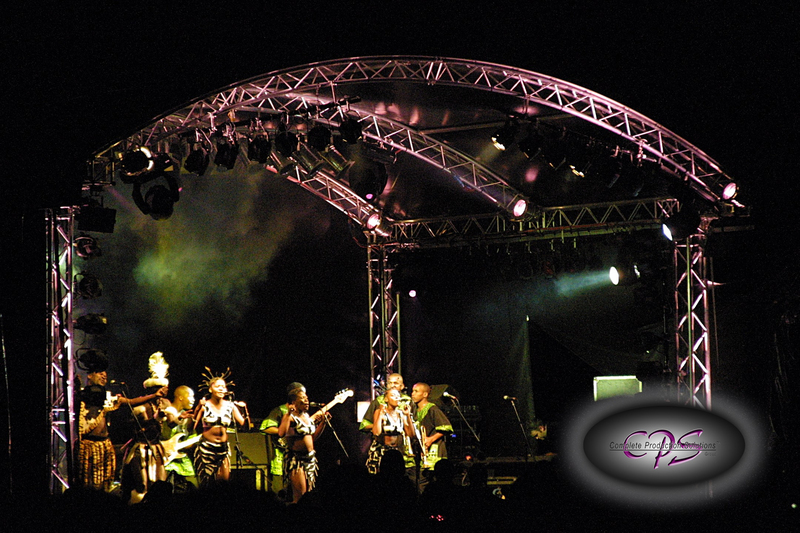 Lighting equipment can be suspended directly from the truss, which forms the structure. 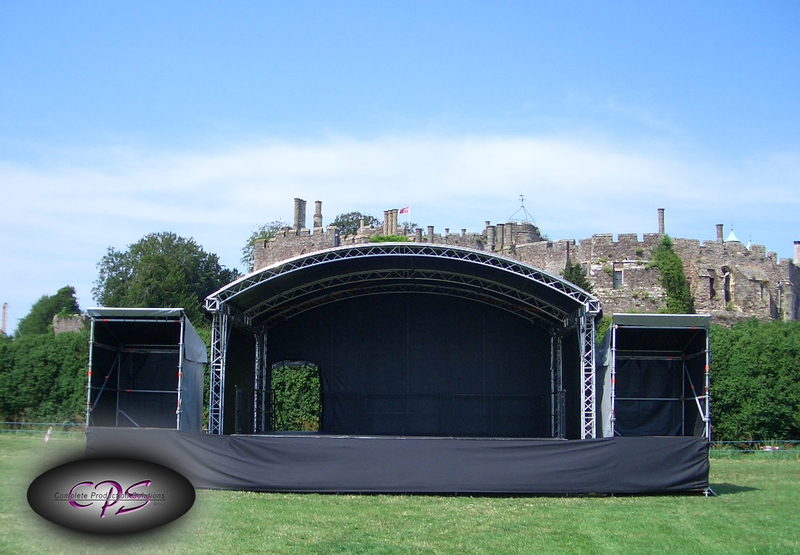 The roof is normally supplied as a complete system with a 7.4m x 6.15m (24’ x 20’) stage area but can be adapted to suit individual events. 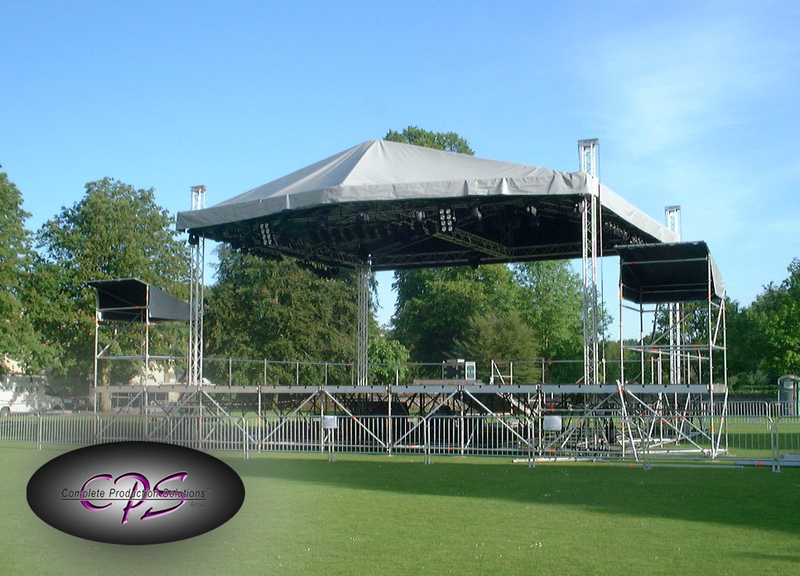 This structure is ideal for the smaller concert or event. The MPT system uses a ground supported truss grid on self-climbing towers giving a 12m x 10m (39’ x 32’6”) square roof section with a trim height of 6m (19’5”). The roof incorporates a sloping cantilever rather than the square box of typical structures, and this creates an unusual and aesthetically pleasing shape. Once again, lighting equipment can be directly rigged to all trusses, cutting down on supplementary equipment needed, and the cantilever allows lighting designers plenty of scope for imaginative design. A roof canopy and side walling is also supplied. Please contact the CPS Technical Services office for further details and a quotation for your requirements. A site visit will normally be required.